Here at Stephanie Ratto Photography, I strive to bring you nothing short of amazing. Our flush mount album is crafted by hand with archival materials. This classic heirloom features thick, layflat pages printed on photographic paper. Choose a cover from our genuine Italian leathers, European linens, or Japanese fabrics. Printed on archival photographic papers and handcrafted with great attention to detail. This high-end flushmount album features beautiful cover options and personalization. A full spread includes the left and right side when laying open. Our spreads are creased in the center for a seamless layflat design. I am here to help you create. You have options to choose from our rounded corner album printed on true semi-matte photographic paper for a more modern finish to our our square cornered album showcasing our museum grade printing on acid-free fine art papers featuring true matte finishes and soft textures that will last a lifetime. Compliment your Fine Art Albums with our Luxe Leather or Luxe Linen cover materials and custom debossing. Fabric swatches are provided in studio for you to view to see which would best compliment your session and style. Open your very own book and travel back to revisit the memories made during your portrait session here at Stephanie Ratto Photography time and time again. I am just beyond words and still in shock that my maternity portrait of this gorgeous mama placed 11th out of 26, 188 entries in the Maternity category in this years Shoot & Share contest. The Shoot & Share contest is the world’s only free & fair photo contest. I went “all in” this year entering 50 of my favorite portraits taken in 2018. Do you know how difficult it was to narrow it down to 50 of my favorites? Anyone can enter photos, and what is great about it is no one knows who took the photos, but everyone votes for the winners. The photos with the most votes win! There is SUCH an incredible amount of talent in this contest and It is such an honor to be amongst these fellow photographers! A very special shout out to the gorgeous mama! When she booked her session with me, we discussed ideas and a vision to make this session unique. She showed up in this perfect handmade outfit and my jaw dropped! It couldn’t have came together more perfectly! 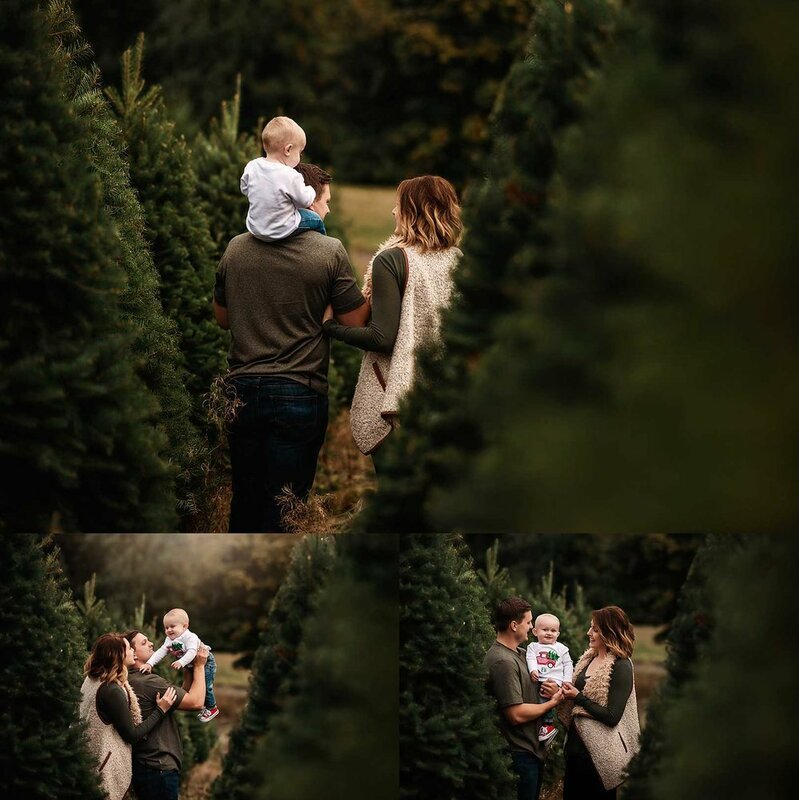 Stephanie Ratto Photography is now booking Christmas Tree Farm Mini Sessions for November 10th and 11th! There will be VERY LIMITED time slots. I am going with a traditional, minimalist look for this years portraits. I want to focus on outfit choices to pop against the greenery and the love and connection between family for these portraits. I will have cute clear umbrella’s for accessories in case of weather and some minimal props, blankets and signs to use if you choose. Only $100 to book your session time slot! These will be 15minute time slots starting at 3pm on the 10th! Your retainer will go towards your package purchase. Packages will range from $250-$450. Email me today at hello@stephanierattophotography.com for more information. Bookings will be at a first come first serve basis. Be on the lookout for announcement number two for the first weekend of December! I was so thrilled with Natasha chose me to be her maternity and newborn portrait photographer during this incredibly special time in her life. When we sat down for her consultation, I asked if she knew the gender. She said that she had the gender ultrasound in a envelope that sat UNOPENED for WEEKS as she waited for her husband to come home to find out the gender together! We talked about how they were going to find out and then came up with the idea for a gender reveal session add on to her package! I was so excited to be able to pull off their surprise gender reveal! After much planning, we had the field set up and blind folded them prior to arriving to the location. Natasha joked as I lead her through the field. Everything was ready, the sun came out, wind slowed down and blindfolds came off! Congratulations again! Boys are so much fun and I can't wait to meet him for his newborn session! We will be seeing some more images in a few months of Natasha after baby grows a bit more for her custom maternity session.